Parade on Over to Legacy! Every autumn, the Home Builders Associations of Raleigh-Wake County and Durham, Orange, & Chatham Counties host the Parade of Homes, a free-of-charge event that gives the public an opportunity to view the latest and greatest in new home design, construction, and technology in various price ranges in and around the Triangle. 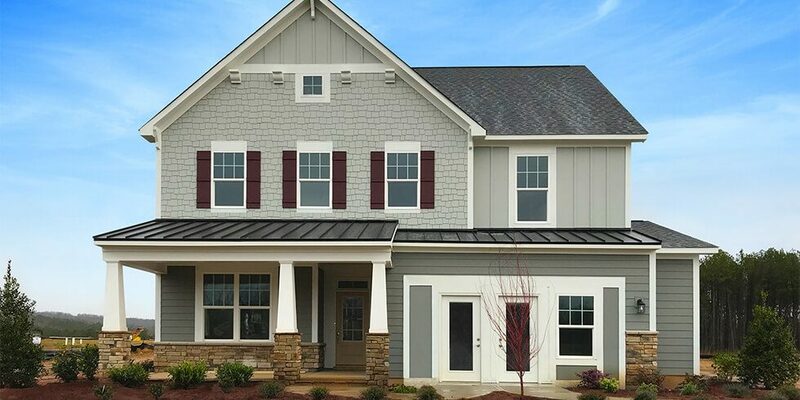 Legacy at Jordan Lake is pleased to be a participant this year with its model home, located at 66 Legacy Club Drive in Chapel Hill. The Parade event will take place October 6-7, 12-14, and 19-21, from noon till 5 pm… Consider this your personal invitation to Parade on over to Legacy! Designed and built by award-winning M/I Homes, “The Beech” is the Legacy model home/2018 Parade entry, consisting of 2,944 square feet. A plethora of details make The Beech a home you don’t want to miss! Just a few of the first floor features include a welcoming front porch, a dining room perfect for entertaining, a fantastic gourmet kitchen, and a grand family room. A wonderful screened porch and a guest room (or office; your choice) and full bath round out the first floor. Upstairs is home to a large loft, a marvelous owner’s retreat, three additional bedrooms, two additional full baths, and a laundry room perfect for wash/fold duty. The Beech is third-party Energy Star certified, which means it delivers better quality, better comfort, and better durability when compared to other new homes. Also, The Beech, like all M/I homes, comes with a 15 year transferable structural warranty. As if all of this isn’t enough for those of you that may be in the market for a new home, M/I Homes is participating in a “Dream Big!” National Sales Event through October 15th. This event allows home buyers two amazing ways to save on a new M/I home: 50% off designer upgrades on homes to be built, and a combo savings for quick move-in homes composed of the best prices of the year, an appliance package, and $5,000 paid in closing costs. Contact Hollie today to learn more about Legacy at Jordan Lake by calling (919) 337-9710 or by visiting The Beech, open daily (not just during the Parade! ), located at 66 Legacy Club Drive, Chapel Hill, NC. As we mentioned earlier, you’re officially invited to Parade on over!